Where to start in the City of Light? You could spend a lifetime meandering this magical metropolis and never begin to discover the treasures it holds. With 20 arrondissements arranged like a spiraled nautilus, you find yourself wandering down alleyways, across avenues and along boulevards, sampling a bounty of bistros and boutiques, monuments and musées, parcs and panoramas. 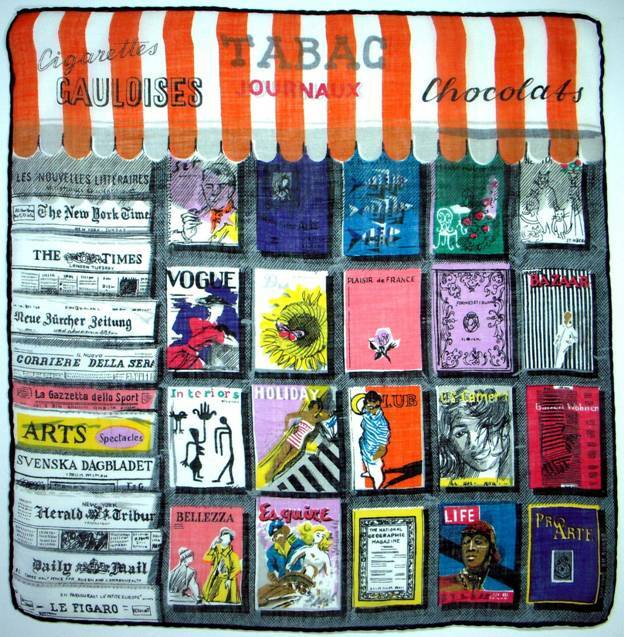 It’s all too sumptuous and sensational. 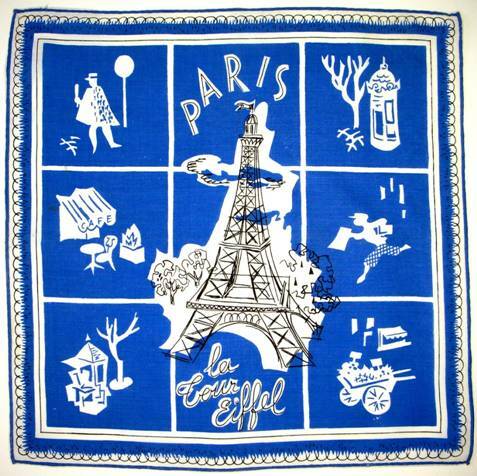 From postered kiosks to cozy cafes, from gallant gendarmes to colorful flower carts, and always anchored by the Eiffel Tower (the entrance to the 1889 World’s Fair), this bright blue hankie has it all. It’s fun and fabulous. 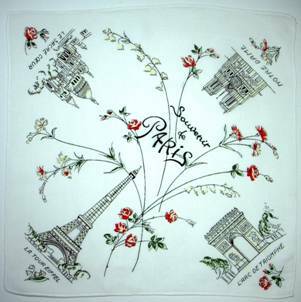 In future blogs, we’ll view Paris through the eyes of artists, couturiers, gourmands, historians, and of course, lovers and romantics. For now, let’s do a quick ‘fly over’ to get a feel for what has been called the most romantic city in the world. 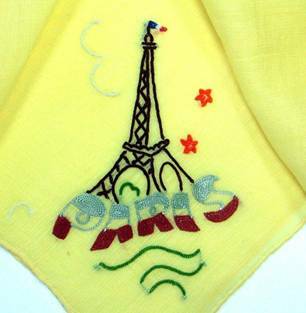 The teensy tricolor atop le Tour Eiffel compliments the tricolor in the embroidered word Paris. Charming. Alongside, crisp colorful Fleur de lis float in a sky blue background. The hand rolled citrus hem adds the perfect sophisticated snap. 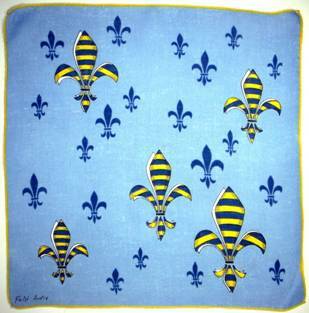 One interpretation claims the three petals of the fleur de lis represent medieval social classes – those who worked, those who fought and those who prayed. 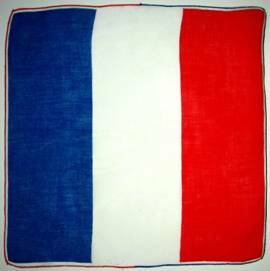 Although it is widely used in the coat of arms by dozens of cities, it has never been officially adopted by any of the French republics. It’s a beautiful, classic symbol and a delight to encounter everywhere in France. 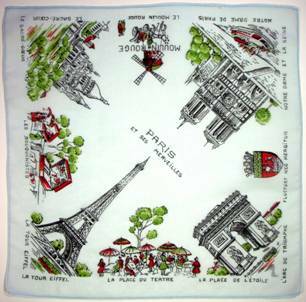 This terrific souvenir hankie has it all – from fishing in the Seine to artists on the cobblestone streets of Monmartre, the Moulin Rouge windmill, l’Arc deTtriomphe, les Jardins du Luxembourg, and more. The spicy cinnamon border surrounds and enhances the lively scene. Over coffee at the café you may peruse a paper or magazine. It’s interesting to see which publications are now defunct, and which have held their audience through the decades. 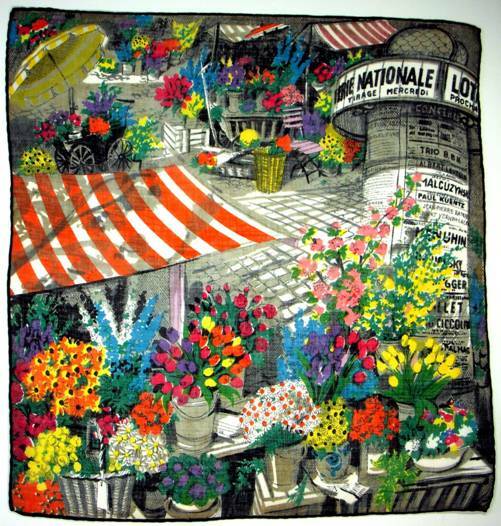 The multitudinous flower stalls which adorn Parisian avenues underscore the unspoken understanding that even the smallest sensual indulgence can enrich our experience, like a pinch of an exotic spice can enliven an otherwise ordinary meal. They remind us to always embrace an opportunity to add color to our lives. Every plaza and boulevard contain harbingers of history, legends of antiquity. We want to laze beneath the awning, sipping an aperitif.I’m sure the artist merely exercised artistic license when making the fountain red, but it’s interesting to note that here is the very spot where Louis XVI and Marie Antoinette lost their heads. Yikes…. Time to send a postcard home, and isn’t this one a beauty? The detailed illustrations set against kelly green is both handsome and beautiful. Now, of course, we Instagram or post to facebook. Yet in doing so, we’ve lost a chance to send a personalized card which conveys the message – this is addressed to you alone. You’re special to me. Truth be told these next two hankies more accurately convey how I feel when attempting to navigate the byways of an unfamiliar city. I literally find myself turning in circles attempting to get my bearings. On those occasions, I admit I’m most grateful for a cell phone GPS, and willingly waive a white hankie in surrender to technology. 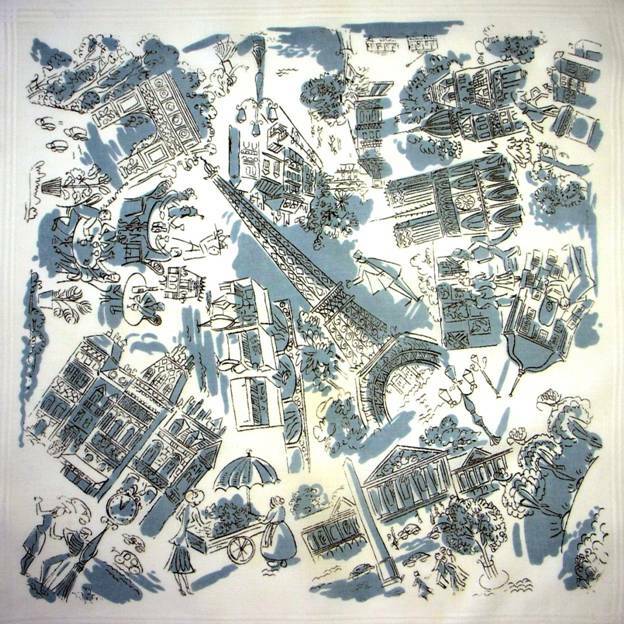 What I find most interesting in this sophisticated dove gray and rich chocolate handkerchief is that major landmarks and monuments merely whisper in the background, while the lifeblood of the city – its people – assume center stage…to perfection. 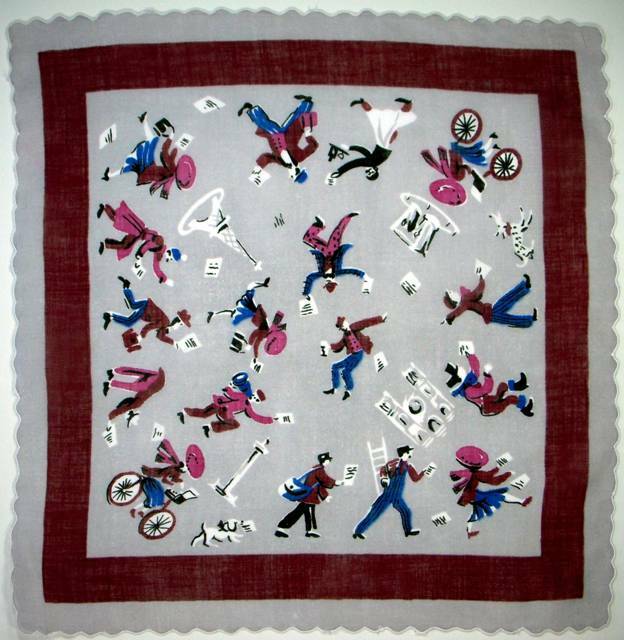 Truly an enjoyable hankie. Here’s a nifty little cheat sheet with a smattering of the basics to get you through your first few days. I can understand why you might want to recognize turtle or snail on the menu, but penguin? Elephant? I’m not sure when you’d need to slip those into your conversation, but who knows? It’s certainly clever. Love the coin of the realm layout. Ah yes, a bit of Berlitz at your fingertips. Great Fun. 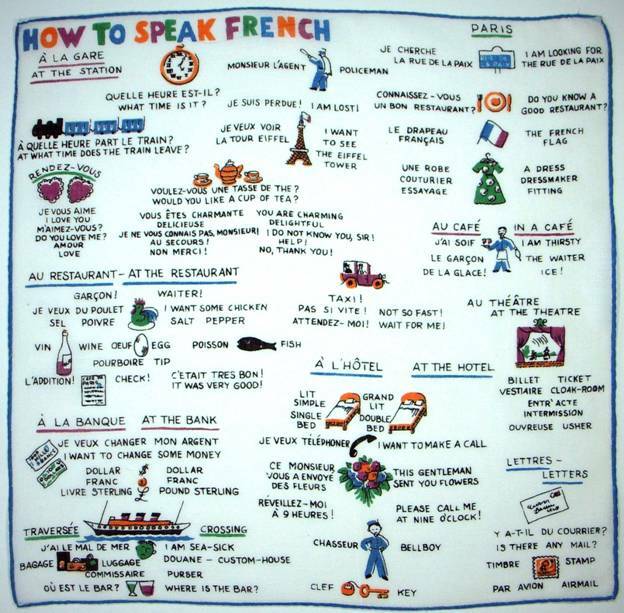 Naturellement, among those phrases considered essential in this City of Love, we find – “You are charming.” “ Do you love me?” as well as “Help!” and “I do not know you sir.” What a hoot! 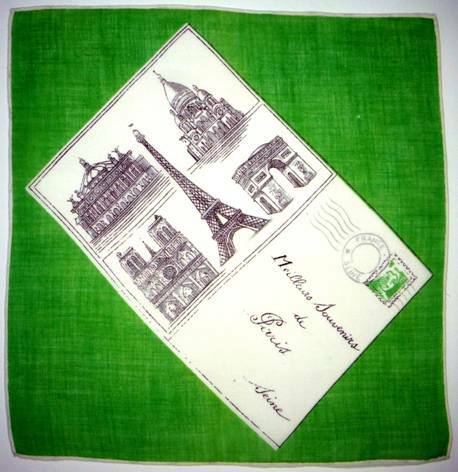 A truly lovely hankie that’s elegant and charming, as well as fanciful and fun. 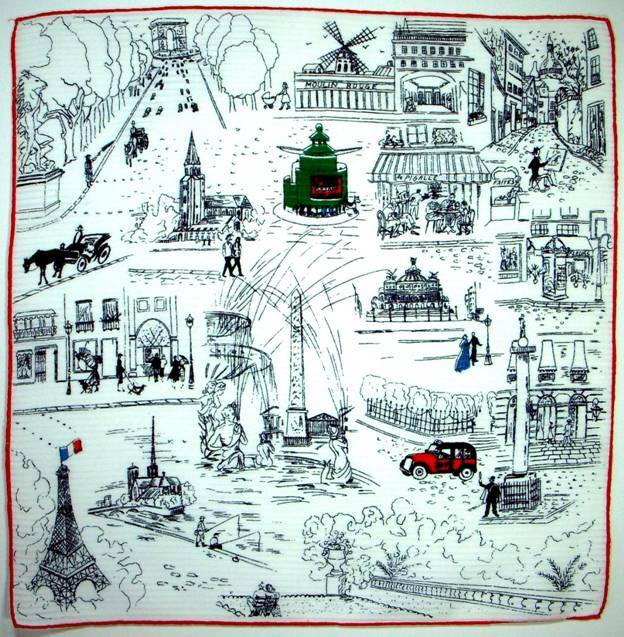 It’s how you feel when experiencing Paris – layer upon layer of adventure and memories. And I do mean experience. Paris is not a place you visit, but rather a place where you immerse yourself, and surrender to the magic that envelopes you. 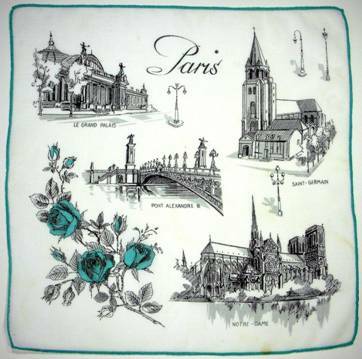 If you have a special memory, highlight or Parisian experience, we hope you’ll take a moment to review it today, and possibly even share it with us. 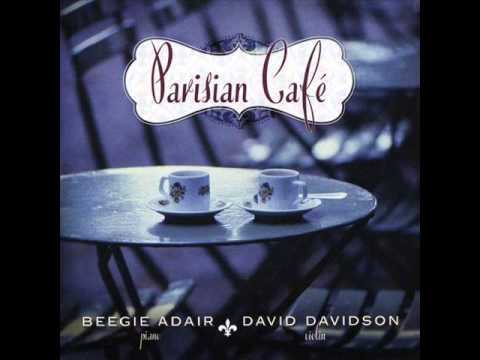 *There isn’t time in this brief blog to indulge in the entire score of “An American in Paris” but I couldn’t leave you without at least a link to enjoy at your leisure. 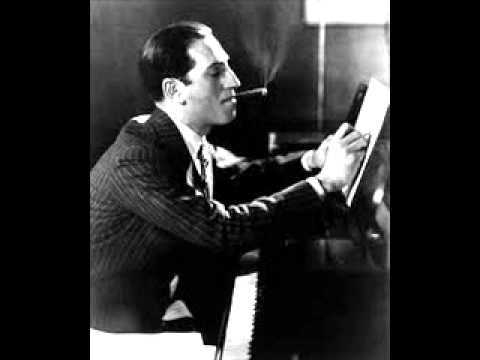 It’s hard to fathom that George Gershwin, composer of this, and another favorite, “Rhapsody in Blue” died at the age of 39. Imagine the additional wonders he might have produced given the gift of years. Fast forward after graduating from college (he kept in contact with me all that time), he found out I was going to be in Rome with my mother and brother. He drove all the way from Istanbul to see me. It was a hot and muggy August day (don’t recall any air conditioning in the hotel), as I was getting dressed and preparing to put on my girdle (all of us nice girls wore girdles) my wiggling caused a snap in my neck and I almost became immobile. Mother and brother took turns apply hot compresses to the neck. This took an hour while the poor lad awaited in the lobby. Fast forward one more year as I was returning to the US after my stint in Pakistan, I visited him (fast becoming a well known architect)in Turkey and stayed with an American woman who was engaged to a Turk…he proposed (still all very innocent my dear) and I knew he wasn’t the one – but what really turned me off – when he said he would build an apartment for us above his parents’ garage…Many many years later living in San Francisco, now widowed and single – I belonged to the World Affairs Club. They were always asking people to host international visitors. I didn’t have time to drive people all over the city but was always happy to invite one or two to my parties. One time there was a man from Turkey. My mother (many times embarrassing me – this time no exception), asked him since he lived in Istanbul did he by chance know E___ K____. The man blanched (probably some government figure – most were) and replied that yes indeed he knew Enis -He was a cousin and he could not stand him.However (made my little widow heart sing) he said when next he saw him – he would tell him what he missed out on in life.-ha!End of story. NOW-the really romantic one: Dan’s partner invited us to France approximately 15 years ago to stay with him and his wife in Provence. 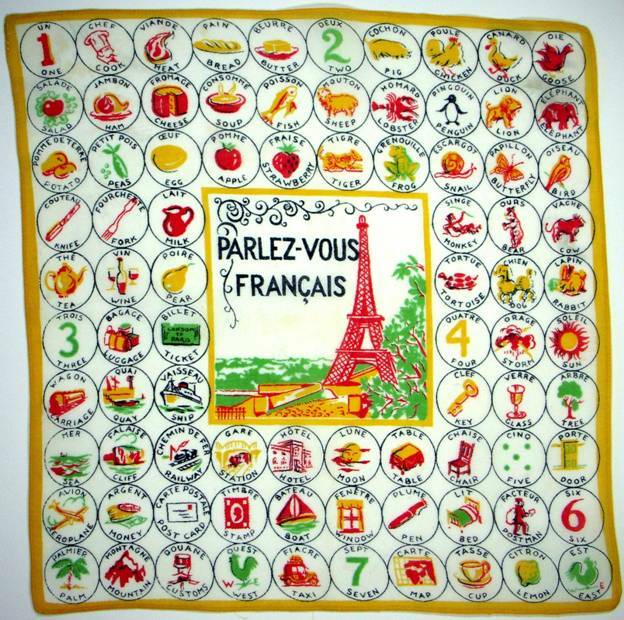 They had rented a lovely villa – so we decided to go and visit Dan’s daughter who was a Junior in High School – attending a year abroad study program in Reims. So, we went there first (went to Mont St. Michel also). Then back to Paris for a few nights. We did all the touristy things, museums, restaurants, etc and decided to go on a dinner cruise on one of the barges. Oh my-soooo romantic (we still have the picture framed looking goo-goo like two star crossed lovers). They first have you board on a tent covered dock, sumptuously furnished, in a private suite, where we enjoyed a bottle of champagne. Then we boarded the barge and our table was situated in an almost private area – approximately 15 feet from the string quartet. We were totally encased in glass so as we passed under the bridges, the lights would come on and we could see the beautiful artwork painted underneath. Different wines accompanied each course of the meal. And course, no French meal is complete without a brandy. Even Dan still talks about it today. One of the days we were there we also visited Crazy Horse Saloon. My Father had visited it 50 years earlier and always talked about it. It was the most sophisticated and beautiful burlesque show I have ever seen. I can even remember most of the numbers. And it was so poshly (if that is a word) decorated. I loved loved loved it. The other highlight in Paris was attending an opera in the old opera house with the Marc Chagall (one of my favorite artists since I was a young lass) ceiling. I remember the midnight supper we had as we walked home from the opera: Don Giovanni. 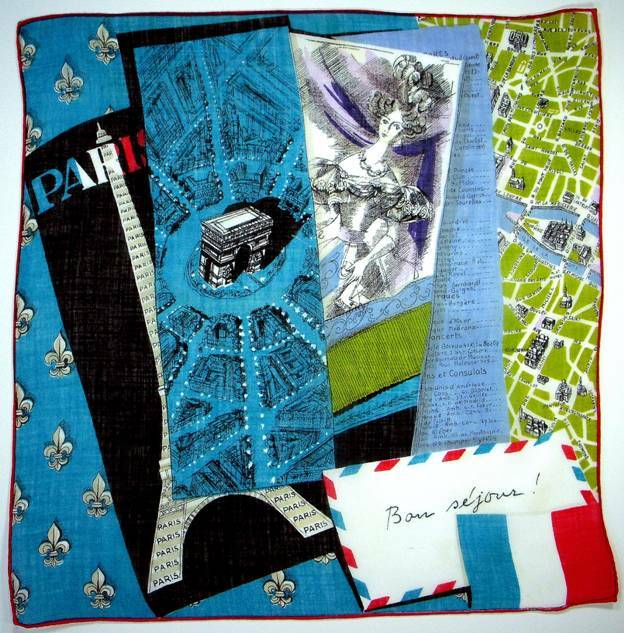 Thank you for allowing me to remember these stories about Paris!!! Merci. PS I played all the songs on your blog – twice!!!! Oh my. I think your memories are just beginning. 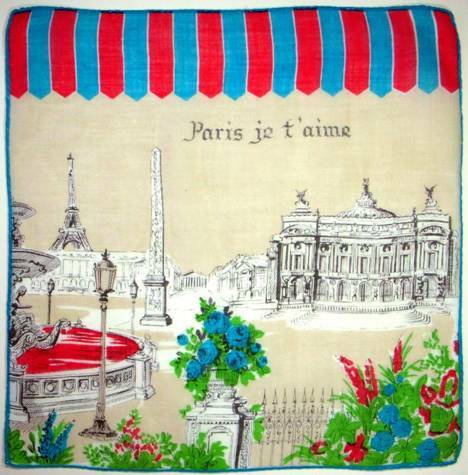 We’ll be visiting Paris and her many treasures again very soon, so stay tuned. Insanely beautiful! Love the music.